1. Do you work in a school that has limited technology resources? 2. Are you looking for ideas and strategies for integrating technology into your classroom instruction? 3. Are curious about the latest developments in web 2.O? If you answered yes to any of the above questions then this website is for you! My name is Richard Byrne. I teach high school Social Studies in a rural school district in Maine. I believe that teaching with 21st century technology is critical to engaging students in school, but the school I teach in has limited resources to spend on technology. A few years ago I started explore free alternatives to expensive proprietary software so that I could teach with 21st century technology on a 20th century budget. Last fall, I got the bug to start a blog in order to share the resources I find. (Read the blog here). The blog quickly grew in content and audience. Now I've reached the point where the list of resources is too large for a simple blog. 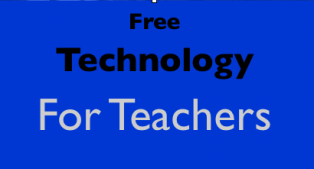 This website is an extension of the blog, which I continue to write, as it includes the resource list from the blog, but on this website you will find expanded ideas and strategies for using free technology resources in the classroom. Whether your school is equipped with one to one computing or your school has one computer for every 20 students there is a free 21st century that you can use. Browse through the website and you're bound to find a resource you can use.